County Assembly Members (MCAs) have unanimously adopted the Kakamega County Fiscal Strategy Paper (CFSP) report. The report which was tabled and presented by the chairperson Budget and Appropriations Committee, Hon. Willis Opuka recommends that more development funds to be injected into ward based projects in the next financial year. The County treasury submitted to the Assembly the medium term County Fiscal Strategy Paper for the financial year 2019/2020 to the Assembly in March 2019. CFSP sets out the County priority programmes to be implemented during the next financial year. Preparation of this document is done through collaborated efforts that reflect the needs of the people of Kakamega County. The document, gives projections for the next fiscal year, medium-term programs and sets broad county budget priorities to guide decisions on annual budget. It also proposes ceilings of expenditure. The Committee has made several recommendations, all which have been backed by the MCAs. Some of them are: (1) The health committee to undertake oversight of the purchase, delivery and distribution of medical drugs to hospitals, (2) County departments should ensure that County Fiscal Strategy Papers are aligned with Annual Developments Plans (ADPs) for consistency and to end duplications of programs, (3) The County Government should ensure it prioritizes programmes that will benefit all residents in the County (4) The department of lands should ensure all county government lands are protected from encroachment. (b). EDUCATION: Construction of 2 ECDE centres and equipping them at Ksh.7m and Ksh. 3m for bursary per ward. (c ). HEALTH : Universal Health Care (NHIF) at Ksh. 1.5m to cater for residents in every ward. (6). Flagship projects should be identified in the Budget through inclusion of the views of honourable members, citizens and other stakeholders through public participation forums and approved by the Assembly. (7). The County Government should enhance and safeguard revenue collection and roll-out full automation of revenue systems in areas such as at markets, bus parks and put in place mechanisms to seal the theft of revenue and usage at source. 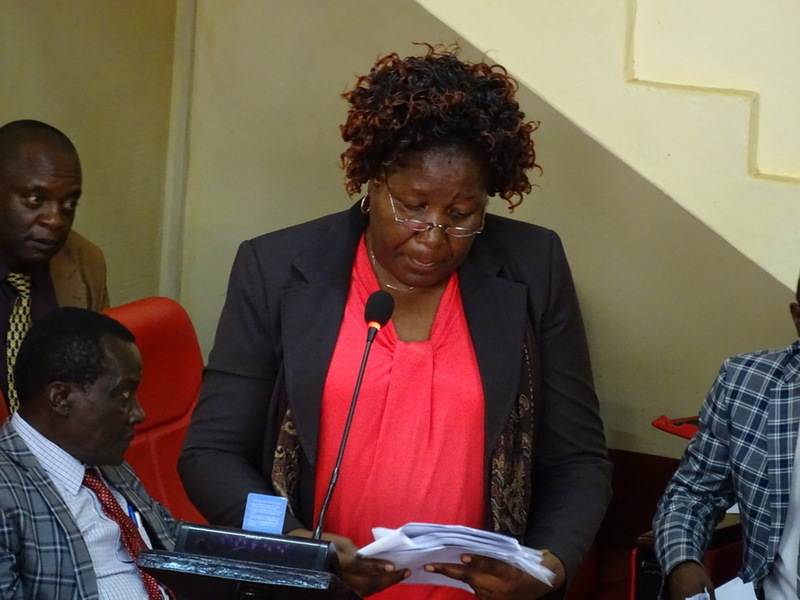 Kakamega County Assembly members (MCAs) are taking part in key debates at plenary sessions of the ongoing 4th Annual Legislative Summit that kicked off at the weekend in Kisumu City. This year's Summit seeks to assess progress made in legislation that supports entrenching devolution. More than 4,000 delegates that brings together Senators and MCAs from the 47 County Assemblies and partners are participating in the Summit. The theme of the summit is: “accelerating devolution; assessing the achievements and addressing the gaps in policy and legislation” and seeks to build on the gains of the first three legislative summits. Kakamega County Assembly shared a LIVE: Legislative summit in Kisumu 15th april 2019. Members of County Assemblies(MCAs) from the 47 counties and other stakeholders are participating in this year's County Assemblies Forum (CAF) legislative summit in the lakeside city of Kisumu. The five days summit themed: ‘Accelerating Devolution: Assessing the progress and addressing the gaps in policy and legislation' was officially opened on Monday by Devolution and ASAL Cabinet Secretary Hon. Eugene Wamalwa. Representatives from the National Government, Senate and the private sector are also attending the conference. On Monday, discussions in the plenary session largely centred on the Commission on Revenue Allocation (CRA) proposed third formula for sharing revenue among counties on scientific data. The county legislators noted that data had remained a major constraint. In the past, allocation of revenue was pegged on historical data. However, CRA is seeking to cure this disparity by using the 2017/18 audit by Auditor General Edward Ouko and the 2009 census. According to CRA chairperson Jane Kiringai, the proposed 10 parameters, up from the existing six, sought to assign weight to address inequitable development among the 47 counties.